Shoulder instability is a problem that occurs when the structures that surround the shoulder joint do not work to keep the ball tightly within its socket. If the joint is too loose, is may slide partially out of place, a condition called shoulder subluxation. If the joint comes completely out of place, this is called a shoulder dislocation. 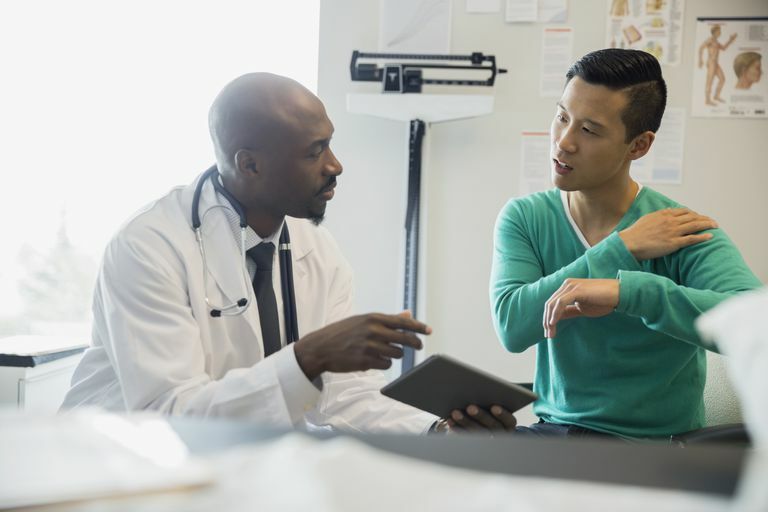 Patients with shoulder instability often complain of an uncomfortable sensation that their shoulder may be about to shift out of place--this is what physicians call "apprehension." Treatment of shoulder instability depends on which of the aforementioned condition is causing the shoulder to come out of joint. Most patients with multi-directional instability will be successfully treated with a focused physical therapy program to strengthen the muscles that help to hold the shoulder in position. In some patients with MDI, when prolonged therapy has been unsuccessful, there are surgical options to tighten the shoulder capsule to help reduce the amount of mobility of the joint. This step is seldom necessary, as the best treatment for these individuals is usually found with therapy. It should be noted, that for therapy to be effective, it often takes many months of work focused in shoulder stabilization exercises to achieve the desired result. Patients who have sustained a traumatic dislocation of the shoulder have usually torn one of the structures that holds the shoulder in proper position. In younger patients (under age 30), the shoulder labrum is usually torn, called a Bankart tear. In these situations, the labrum is usually surgically repaired, called a Bankart repair. Patients over the age of 30 have a higher chance of tearing their rotator cuff, rather than the Bankart tear, when they dislocate their shoulder. In these situations, therapy may be considered for treatment of the rotator cuff tear, or rotator cuff surgery. Patients who have abnormally loose joints, so-called double jointed, are seldom treated with surgery. Because these patients have abnormally loose connective tissue, surgery really does not correct the underlying problem. The problem with these patients is more often a genetic issue that can't be effectively managed with a surgical procedure. Physical therapy can help to improve the symptoms, and only in rare situations would a surgery be considered. Li X1, Ma R, Nielsen NM, Gulotta LV, Dines JS, Owens BD. "Management of shoulder instability in the skeletally immature patient" J Am Acad Orthop Surg. 2013 Sep;21(9):529-37.